Calphalon is a well-known brand in the “knife world.” The company makes a wide range of various self-sharpening knives and knife sets. These knives are primarily used for cooking and kitchen use but can be used for other purposes as well. 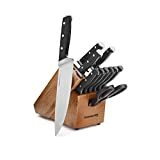 If you are trying to find the best set of knives for your home, one of the smartest things that you can do is to read reviews on different knives available. 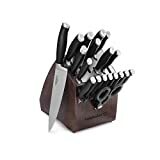 And, since Calphalon is such a highly recommended brand, you should definitely take the time to seek out and read Calphalon self sharpening knives review sites in particular. Ultimately, the brand of knife that you purchase is entirely up to you, but we really think you’ll love the Calphalon line of products. Reading Calphalon self sharpening knives review sites and general knife review is a great place to start in choosing the right knife. But, none of those reviews are really going to help you if you don’t know what, exactly, you are looking for. So, What Should You Be Looking For Exactly? 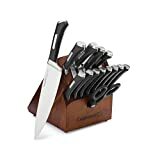 Well, if you’re looking for a good knife set for your home, the first step is to make sure that it has all of the different types of knives that you will need. There are many other types of knives that you may find useful, especially if you like to do complex things in the kitchen, but looking for a set that contains at least these basics is a good place to start. That’s because each knife serves a different and important purpose. Chef’s knives, for example, are good for chopping and dicing vegetables, while slicers are best for dealing with meat. Utility knives are for when you need smaller, more controlled cutting motions, and paring knives are for peeling and coring. 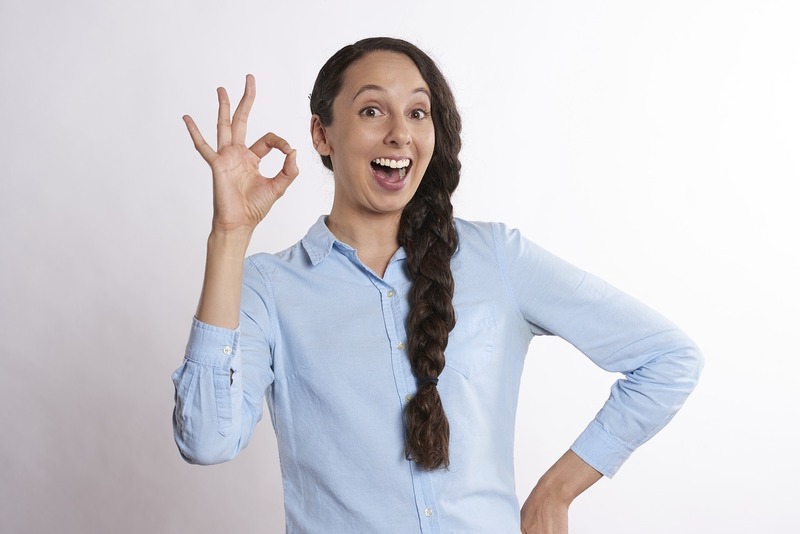 Aside from ensuring that you have all of the different types of knives that you need on a basic level, you may or may not want to look into whether or not you need more specialized knives. A serrated knife is a common specialty knife that includes a long, thin blade. This blade is good for cutting bread smoothly, as well as softer fruits and vegetables. Santoku blades, on the other hand, are wide and straight, perfect for finely chopping or mincing recipe ingredients. This knife is especially useful if your goal is to achieve a thin, even slice every day, which some recipes demand and depend on. Carving knives, of course, are designed for carving meat, thanks to their long, thin, extra-sharp design. And, boning knives are made for cutting through meat and removing any bones. Similarly, filleting knives are for this same purpose, but are specifically designed for the fine, thin bones of fish. Of course, you can achieve many of these tasks with one of the basic knives. But, if you’re a professional chef, a perfectionist, or just someone who wants to make any job easier, going for a set that includes specialized knives, is worthwhile. In addition to making sure that you choose a set with all of the different types of knives that you will need, you should also take care to ensure you choose a strong, sturdy knife design. 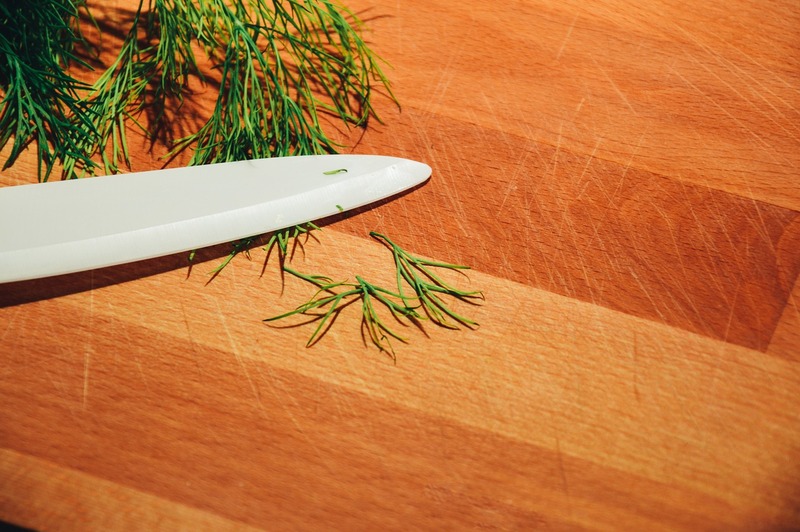 Knives regularly clomp onto cutting boards or other surfaces rapidly and repeatedly. They also may have to be used for heavy-duty sawing or cutting through thick materials. With that in mind, it makes sense that you would want to choose a knife that is as sturdy and strongly designed as possible. Another thing to keep in mind is that, whenever possible, you want to try and go for “forged” knives as opposed to stamped knives. Forged knives are made more sturdily. They are crafted by taking a whole sheet of molten steel and cutting it by hand into the right shape. This makes them stronger and a lot less likely to bend and break than their stamped counterparts, which are made haphazardly via a machine. Of course, you also have to consider cost as you shop. It is perfectly fine to choose cheaper, less well-made knives. You can just have the basic cooking knives if you don’t have lots of money to spend. 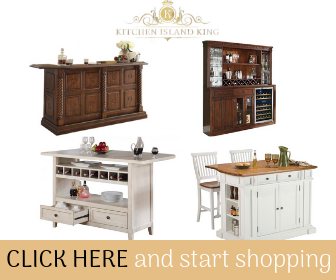 If, on the other hand, you’d like to be a professional chef someday or at least make professional quality meals, you probably will want to invest more in a higher-quality set. This is also true if you are someone who cooks very regularly instead of just every once in awhile. 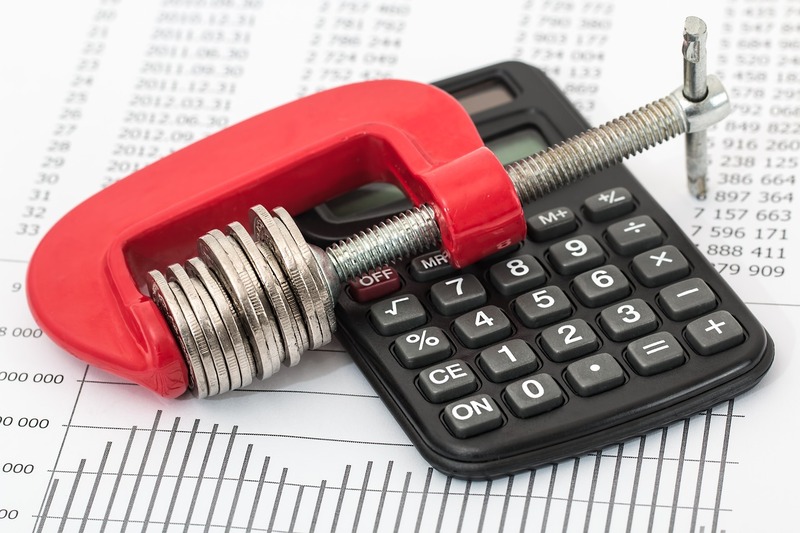 The bottom line is to be realistic about your budget and your needs and then to shop accordingly. Believe it or not, as you shop, you should also consider what your knives’ handles are made out of. 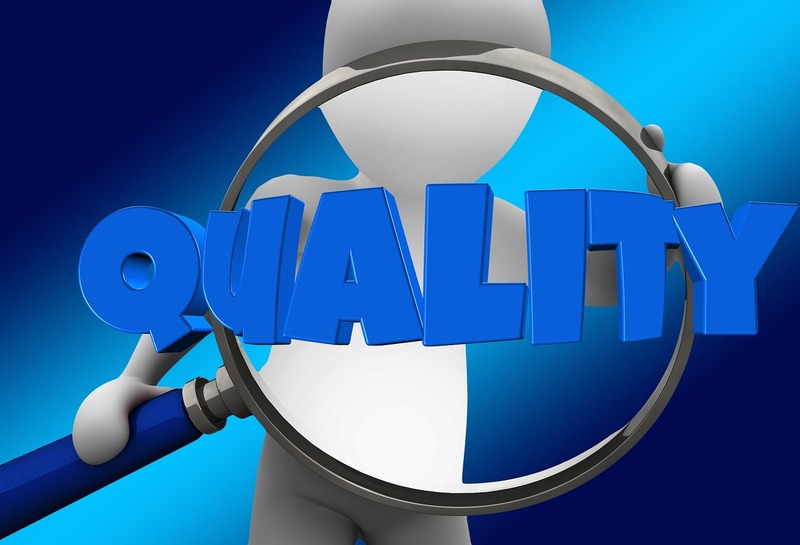 The handles can actually have a surprising impact on the overall quality. Wood handles, for example, aren’t bad, but they don’t tend to last as long due to shrinkage and other damage from regular washing. You’re much better off choosing knives that have handles crafted from materials like polypropylene or fiberglass. No matter what type of handle you choose, make sure it will be comfortable and easy for you to grip. This might mean trying out the handles in person, but it’s totally worth it. Plus, remember that you can try something out in person and still buy it online. The time investment is totally worth it to ensure you get the best possible knives for your needs. When you take into consideration all that we have told you about how to choose a knife set, it becomes easy to see that Calphalon self-sharpening knives are the way to go. These knives have everything you need. 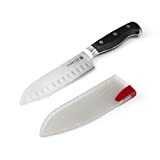 The only choice you have to make is which exact set you want, which you can easily determine by reading through various calphalon self sharpening knives review sites. With all of that said, you may be wondering why we promote these knives so heavily. It’s not because we want you to buy them. After all, the choice of what you buy is up to you. It’s because we truly love them, and we think that most consumers will too. First of all, we really like the wide pricing range that Calphalon knife sets offer. Yes, it’s true that these knife sets are more expensive than the lower quality sets on the market. However, we think they are well worth the additional money. Plus, we really like the fact that you can pick your price point. Generally, you will pay anywhere from $129 to $279 for a good set of Calphalon self-sharpening knives. Yes, that’s a higher than average price for knives, but look at the wide range encompassed in those prices. No matter what your budget, you can ultimately choose a good quality set of knives that will work well for you. And, of course with the help of calphalon self sharpening knives review. 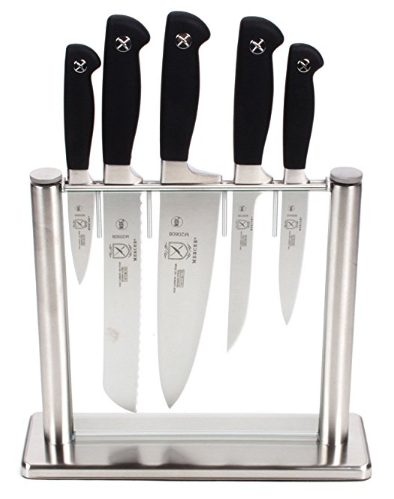 We also really like the fact that all of the Calphalon sets feature a range of different knives. Sure, you might not get every single knife that you want in the cheaper Calphalon sets. However, you will get at least the basics in every set. Based on this fact, you don’t have to spend big to get a nice, quality, highly functional and pragmatic set of working kitchen knives. Of course, we also love the self-sharpening feature. It’s built right into the name of these knife sets, and it’s not just a gimmick. These knives truly do sharpen on their own. The secret is the high-quality knife block that every set comes with. This set sharpens the knives when you remove them from the block. That’s it! You simply remove the knife, and it gets sharpened as you do. In our book, that is pretty amazing, and it can also help your knives to last much longer and function much better than they otherwise would. We have mentioned the word “quality” multiple times while talking about these knives and for good reason. You’d truly be hard pressed to find better quality in any other knife set. Almost all of the Calphalon knives are forged from German steel, some of the strongest metal on the market today. If you want knives that will truly last you for a lifetime, then pay the extra money and spring for a Calphalon set. It’s worth it. Another really nice thing about Calphalon knives is that you get a full lifetime warranty. That is pretty much unheard of. Sure, some knives might offer a guarantee of several years, but for your whole lifetime? That’s pretty impressive. If something goes wrong with your knives or if they simply are not up to your standard, you can return them and get your money back, no questions asked. Knowing that your investment is protected in this way should make it much easier to go ahead and make this smart investment. One other feature we really like is the fact that, with most Calphalon sets, your knives are labeled. Plus, the labels are visible while the knife is still on the block. For professional chefs who can identify a knife from a mile away, this is no big deal. For the average consumer, though, it’s very nice to be able to tell which knife you are grabbing by simply glancing at the label. It’s a nice little hallmark of how Calphalon goes the extra mile to serve you better with its products. Speaking of small features that make a big difference, we also really like the fact that most Calphalon sets come with a few empty slots for extra knives. This is great since many people will gradually want to expand their knife collection. If you’re working with a budget, for example, you can add a piece or two to your knife block a little at a time. We’ve already mentioned the lifetime warranty that comes with these knives. However, we have to really praise the strength and durability of these knives. Some companies offer a lifetime warranty and hope that you won’t take them up on it. This company seems to offer a lifetime warranty because it knows you won’t need it. This calphalon self sharpening knives review definitely helps you with your choice. If you want knives that will last and last no matter how often you use them, then you want to go with Calphalon knives. As you can see, Calphalon knives are a great investment for any chef, serious or not. Of course, you’re free to buy what you want, but we feel confident that, once you try these guys, you won’t want anything else. To try the knives for yourself, find a local retailer that offers demonstrations of the knives and/or that sells them. You can always find a better deal online later. But, at least you’ll get to experience the full capabilities of these knives in person and see how awesome they truly are.